Showcase your artistic creations, whether that be sprites, music, drawings or literature, and whether they be related to the Ace Attorney universe or not. Sorry, I don't take requests, only commissions. Standard use conditions (UPDATE for 2018) wrote: - Hotlinking is preferred. - Using, editing, and redistribution is allowed for non-commercial purposes. - The permission list doesn't matter...It's getting hard to look after...Ignore all the sets before 2018 that say they do (The lists should be dated). - Send me a link to what you make? Standard use conditions apply for all sprites in this section, except where specified. Brackets go (still sprites + startup or animated + miscellaneous). 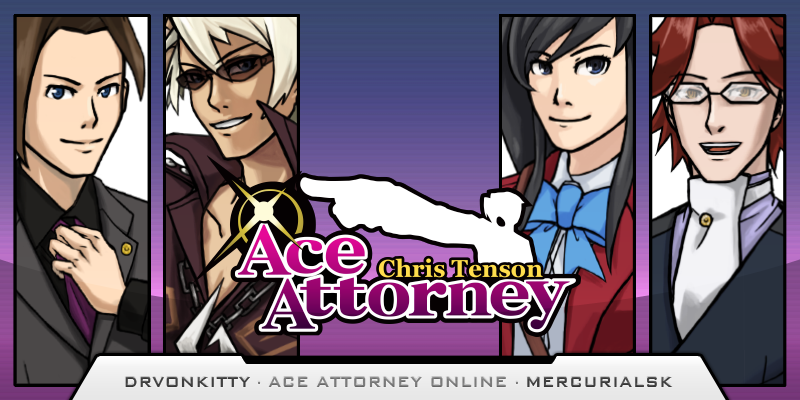 From A Turnabout Called Justice, a fangame drvonkitty and I are working on. 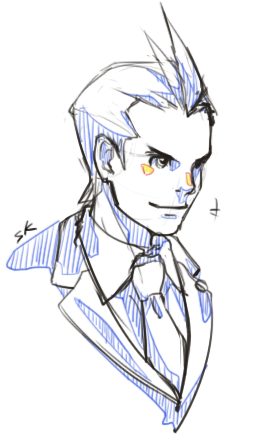 ...Almost AA4-style, anyway. 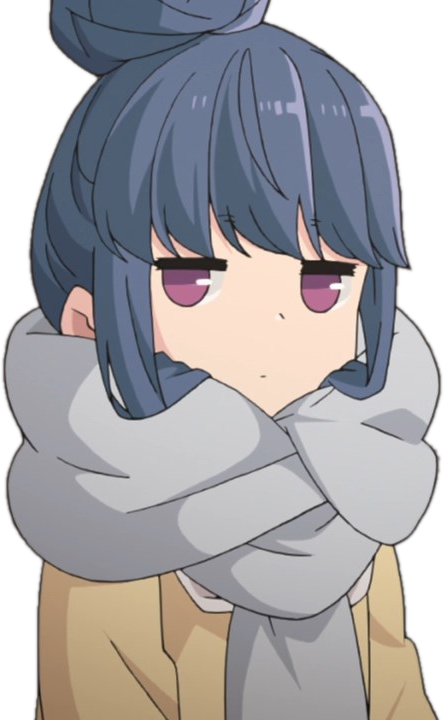 Maybe there'll be a v3 in the far future. 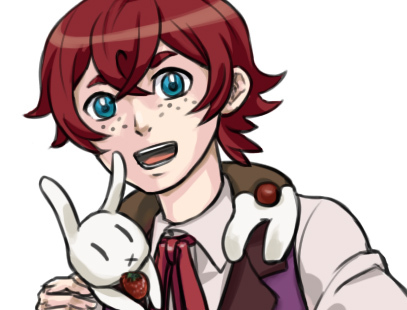 Poses are based on flipped (not mirrored) Dual Destinies sprites, and mouth movements referenced off Let's Plays. Sort of, anyway. This is a set to extend Rajin's existing Athena Cykes sprites (also included in the album as the original exports by ApolloGrimoire were not correctly aligned). The breakdown is currently (5 + 1) Front and (10 + 0 + 4) Co-Counsel. 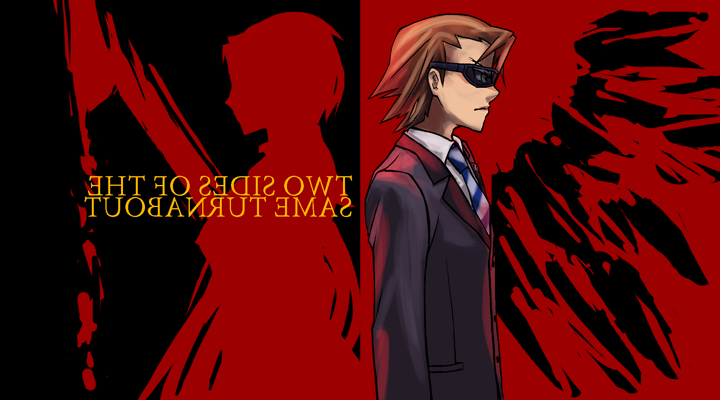 Entry for AAO's Bright Age of the Law Spriting Competition, received 2nd place. This set's conditions are slightly different in that fangames on AAO are exempt from mandatory crediting, because this set has been added to the AAO editor. Entry for C-R's 2013-2014 Sprite Cup, received 2nd place. 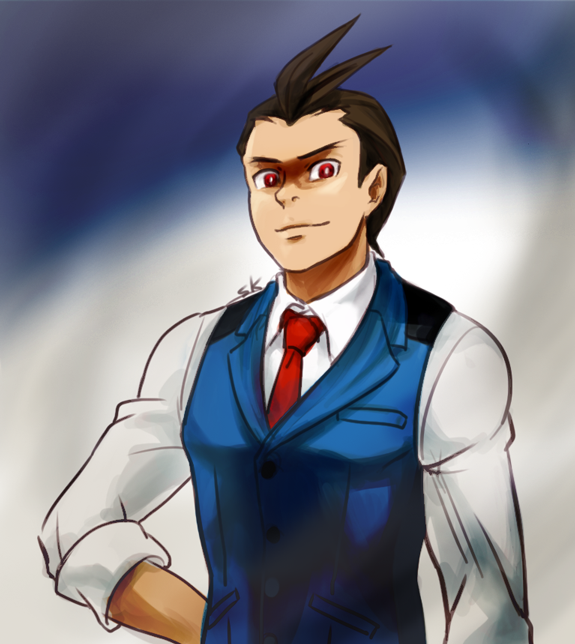 Concept wrote: This is an AU based on one of the Bad Ends from Dual Destinies, where Apollo quits the Wright Anything Agency and doesn't smile again. An obviously false confession where the prosecution did nothing to pursue the truth is not unfamiliar, but when it's in a case that's extremely personal, a lack of answers drives Apollo to disappear. Five years later, he returns as Prosecutor Justice. He chooses to wear his badge and a tie that resembles his most valuable memento to avoid damaging the real thing; every time he sees his reflection, he's reminded of his failure and his resolution. "In our legal system, the prosecution holds the power. I'll use it... to close every case the way they should be closed!" 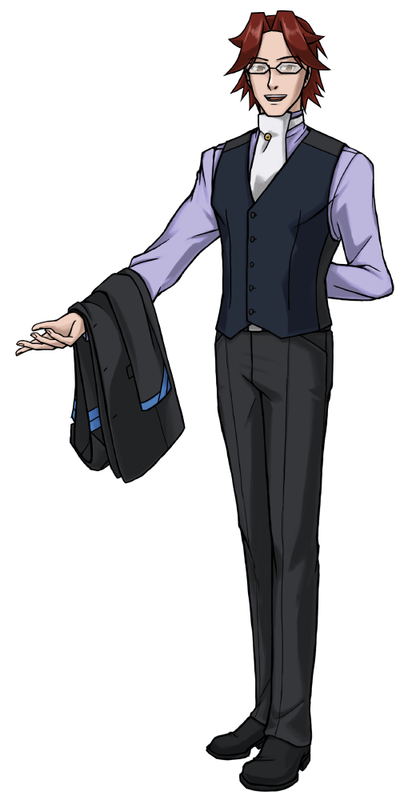 My first sprite set and real entry into Ace Attorney spriting. I learnt so much from making this set, remake after remake and palette after palette. I'm glad I managed to document it so I can reflect on my progress in the future. 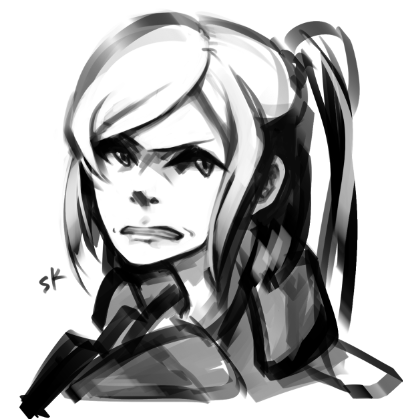 A quick Constance Courte test. No need to request permission, credit would be nice (mandatory where specified), show me what you come up with. 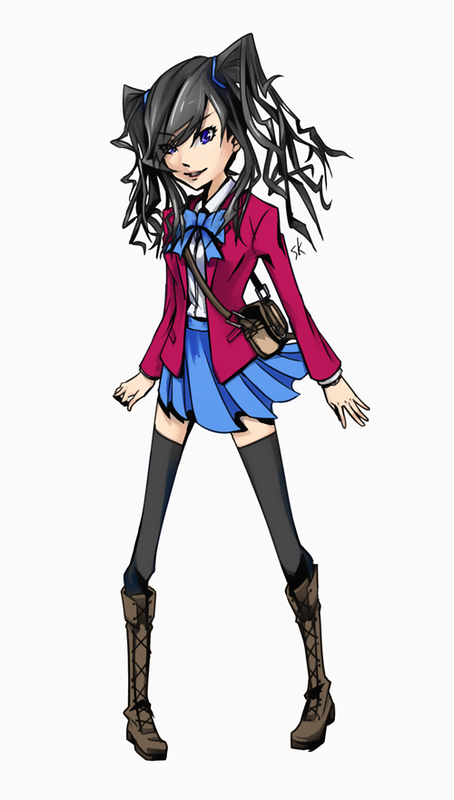 My sprites are also free to edit as well (unless specified). Blackquill's surcoat (for lx1.ica here) Credit mandatory. Dragonslayer Blackquill, saving princesses since 2020. 30 colours, thanks to Rajin for the inspiration. Comes with flavour text. 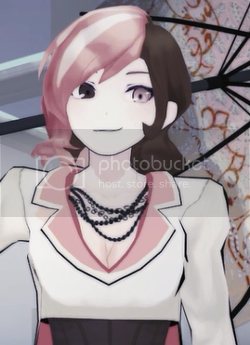 Once upon a time, Aura Blackquill smiled. There's not another one until June 2014. Please ask before using or editing. Co-counsel base for ApolloGrimoire. Cannot use, but free to edit. 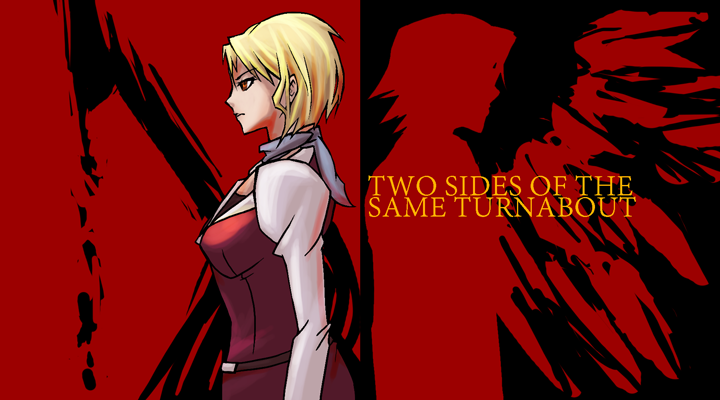 These crossover sprites are drawn in a hybrid of the Ace Attorney style and the original source. Black★Rock Shooter from Black★Rock Shooter. Didn't get around to adding the flame. Cecil Sudo from Wizard Barristers. I didn't end up liking the show. Nothing in this section is free to use, edit, or redistribute without first asking for permission. All non-commercial rights to this set have been given to Ropfa, so please direct any enquiries to him. 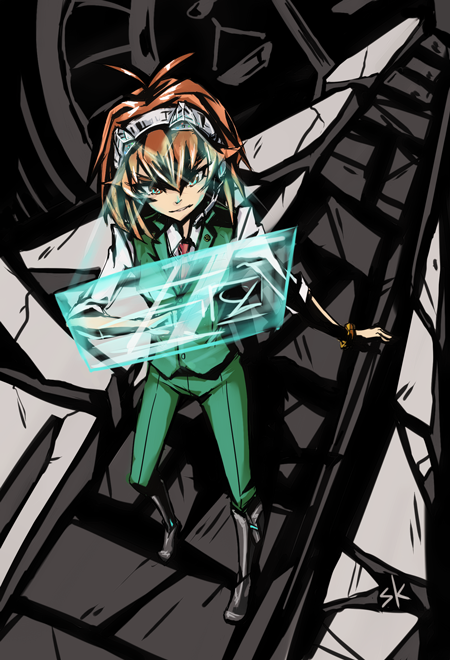 That character's set and a bunch of Perceive graphics. Entry for the Bright Age of the Law Competition at AAO. 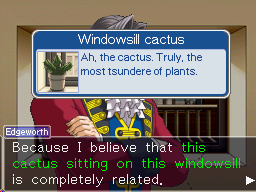 Contains fully-functional Mood Matrix, Mood Matrix - Overload, Perceive and a new game mechanic to perceive, pinpoint and press for the truth: Cross-Examination with Widget 2.0. 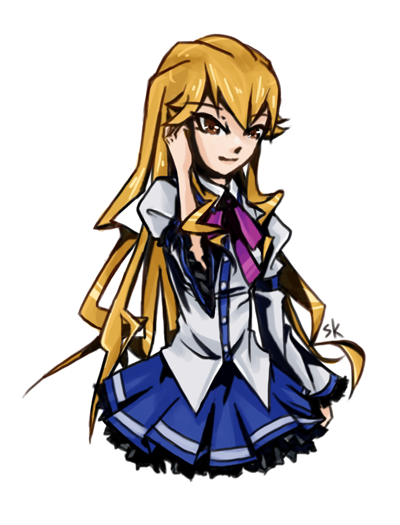 SHAFT head tilt creepy Athena. Sometimes I do things for people. Usually when I get inspired by them. Some banners inspired by the Liberty coin that used to be the original banner there. Last edited by mercurialSK on Sat Feb 17, 2018 2:28 am, edited 38 times in total. I like it! 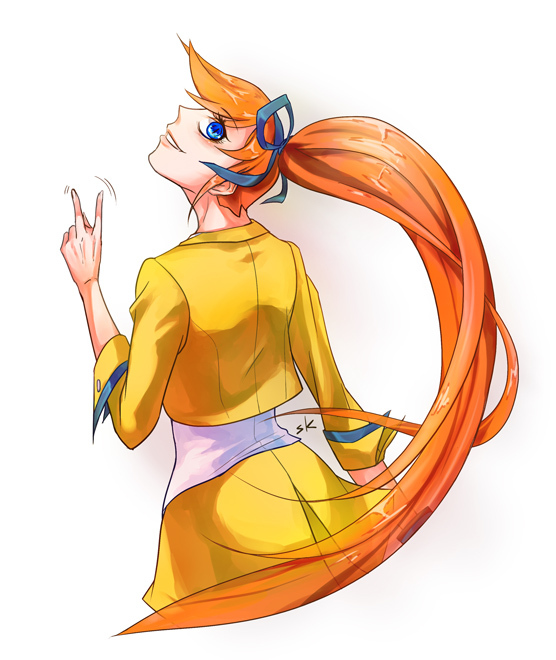 The Violet "fanart" (is it really fanart since you drew the original character ) has a really cool style, and I like the colouration of the Athena one. I can't really leave any critiques since I'm not an artist, though, but I like it! Don't worry so much about leaving critiques, heh. Critiques are nice but forcing them isn't very... useful, I guess? Knowing what's liked is just as fine. Any comments are great, really, better than radio silence. It's good to know you like it and my "actual" style Sometimes my art turns out weird because the AA style is so different, lol. A character I designed for the Ancestors and Descendants comp a while back that didn't look Ace Attorney enough or resemble Apollo enough (bracelet and outfit aside), but I like her design. That cat-ear headset/Court Record projector is on its third revision here. It includes 3D evidence view mode because of its two cameras, a decent processor and removable hard disk behind one ear and a battery pack behind the other, so it has general smartphone features like web access/maps/communication/etc as well. 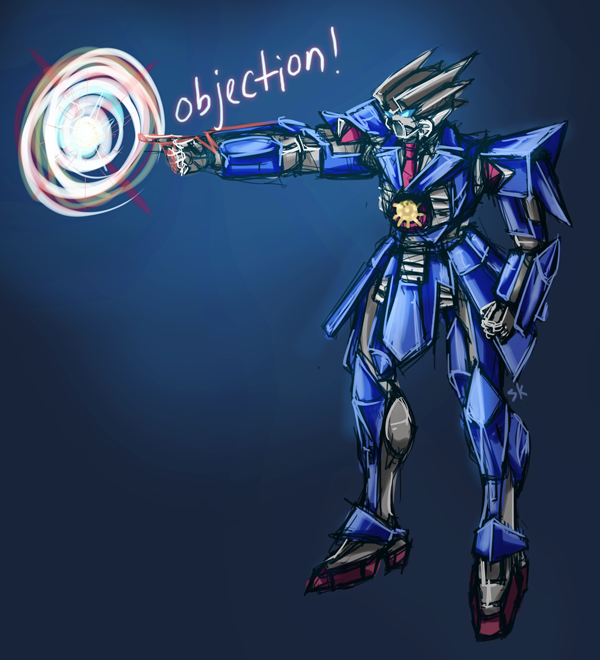 I've been re-watching Gundam, so here's a quick and random sketch. Damn. I figured you were good from the critiques I'd seen around the forums and you work does not disappoint. I like the style you have going, especially in the Ancestors Comp character one and the Chris Tenson character. When you are drawing stairs in perspective all lines parallel to the ground converge to a vanishing point set on horizon line and all lines that are at an angle converge to point that is set directly above/below the vanishing point. In three points perspective you have to use third vanishing point to determine how to set a point directly above/below vanishing point. Last edited by Gamer2002 on Mon Apr 28, 2014 12:09 am, edited 1 time in total. 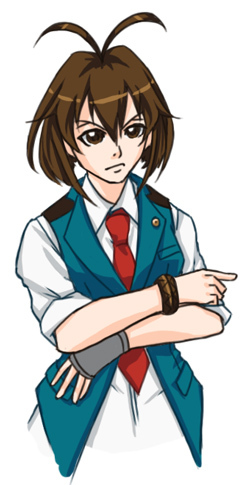 Gamer2002 wrote: A character I designed for the Ancestors and Descendants comp a while back that didn't look Ace Attorney enough or resemble Apollo enough (bracelet and outfit aside), but I like her design. That looks... unsettlingly similar to my Apollo descendant. Honestly, it's probably only the colors on the vest that make you think that, SK's descendant has some really obvious differences judging by both pictures. Location: Hell. Gay Hell, to be exact. SS Sleuth wrote: Damn. I figured you were good from the critiques I'd seen around the forums and you work does not disappoint. I like the style you have going, especially in the Ancestors Comp character one and the Chris Tenson character. Oops... uh, they're not stairs. Otherwise yeah, what you said. It was more for drawing her in perspective, I guess... truthfully, the background is eyeballed lol, though I did draw the segmentation for her proportions. I guess she could have been posed better, yeah, but there's not a lot that can be done with the screen in the way and one arm is raised and bent already. Her hand is posed like that because she's in the middle of using the headset. I could move the elbow back and bend the arm inwards some more but the main reason I had for raising it was to highlight the bracelet. Unless you have any suggestions? 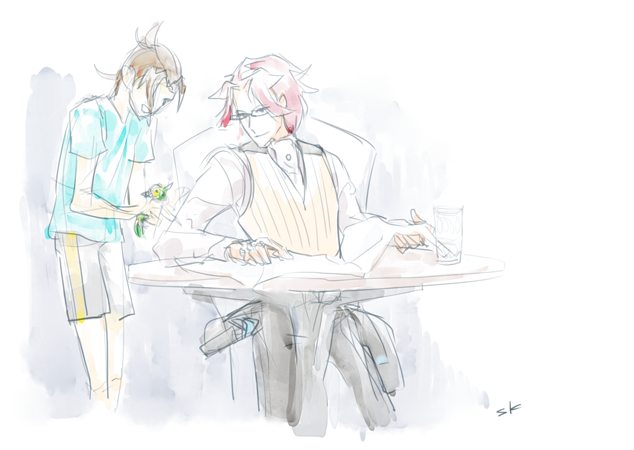 Lind wrote: That looks... unsettlingly similar to my Apollo descendant. ...Oh. Wow. Hm. I can see how you'd think that. I agree with Dave, but I don't plan to use her design again in the future if that helps. I never liked this style of uncanny family resemblance honestly. Don't get me wrong, I'm not calling plagiarism or anything. I just think it's a weird coincidence. 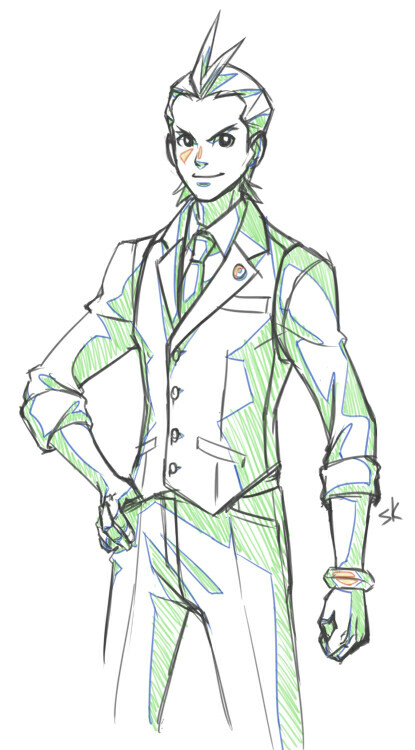 I guess we both had the same thought in regards to switching the colour of the tie and the vest, huh. 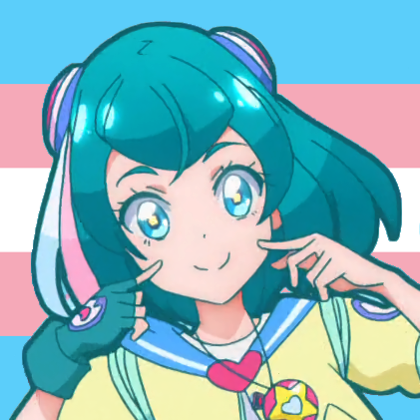 XD It's sort of difficult to come up with an opposite-gender uncanny resemblance without making them look like a carbon copy of the original but gender-swapped. Also a random drawing made its way into the OP a while ago because I wanted to test things. Amelia. Testing out Photoshop brushes and more practice in RGB colour selection. 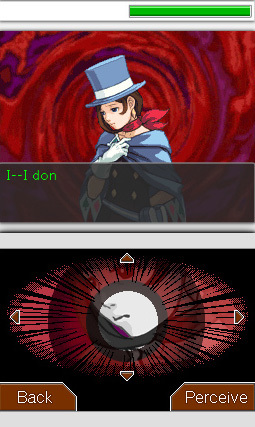 Those Apollo sprites are superb. 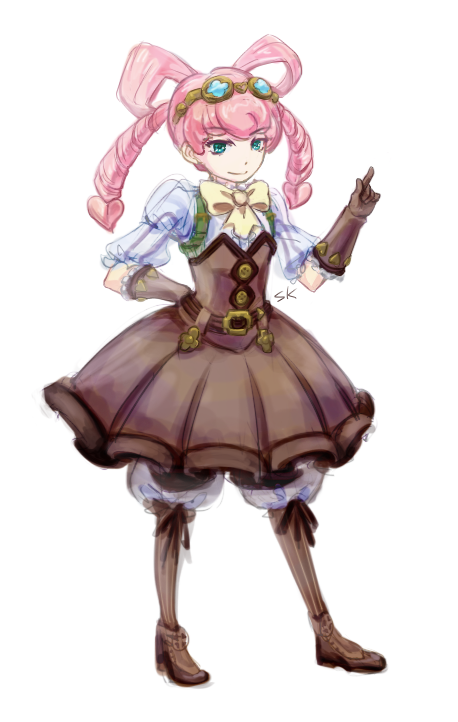 Also, Amelia's design is so cute! Your style, the way you draw faces... I think it's just amazing. Keep up the good work ! 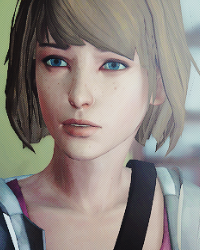 Tear wrote: Your style, the way you draw faces... I think it's just amazing. Keep up the good work ! 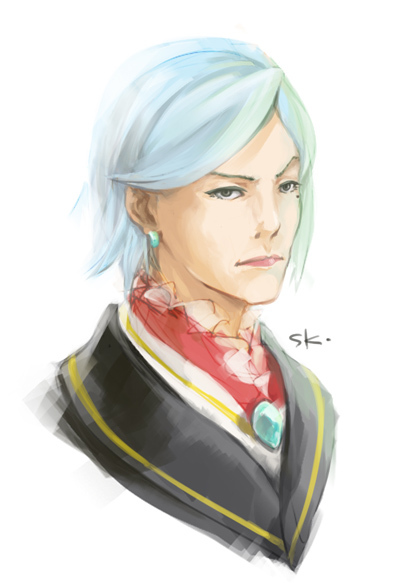 I don't have much by way of an update, I've been busy studying for exams and studying Nuri's/the Ace Attorney art style. Have something from the latter I guess. This rendering method is an interesting way to practice because it forces me to identify the shape of the shading before I start to shade, inspired by animation cels. It's fun.